Below you can view all the homes for sale in the East Lake subdivision located in Atlanta Georgia. Listings in East Lake are updated daily from data we receive from the Atlanta multiple listing service. We Don'T Have To Tell You That Location Is What Really Matters Cut Your Commute, But Hurry Because This One Won'T Last. MLS#6538792. Realsource Brokers, Inc.. They Are Representation Of Finishes And Style Only. MLS#6538559. Keller Williams Realty Metro Atl. Expansive Deck & Separate Screened Porch Provide Idyllic Settings For Reading & Relaxing. Generous Storage Options! MLS#6538157. Compass. This Cozy Bungalow Is On An Almost Half Acre Corner Lot W/ Plenty Of Room To Entertain All Your Friends And Family. MLS#6538105. Keller Williams Rlty-Ptree Rd. This Beauty Is W/In Easy Access To Nearby Restaurants And Shops On 2nd Ave, And Oakhurst Village. Great Location! MLS#6536228. Keller Williams Rlty-Ptree Rd. All The Luxuries Of Decatur Without The Taxes! MLS#6531042. Compass. Half Acre Lot Allows For Rear Accessory Dwelling Unit. MLS#6530565. Properly. 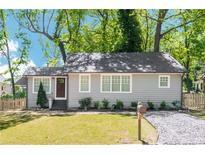 Short Walk To Oakhurst Village And Just Seconds From Downtown Decatur. MLS#6530575. Keller Williams Realty Intown Atl. Bonus Feature: A Large Detached Garage W/ Electricity!!! Charles Drew Carter School Eligible MLS#6530694. Keller Williams Realty Metro Atl. Large Side Yards And Conveniently Located Near East Lake Golf Course, Oakhurst Village, Kirkwood And Seconds From Downtown Decatur. MLS#6529626. Berkshire Hathaway Homeservices Georgia Properties. Large Private Level Backyard And Conveniently Located Near East Lake Golf Course, Oakhurst Village, Kirkwood And Seconds From Downtown Decatur. MLS#6529591. Berkshire Hathaway Homeservices Georgia Properties. Hvac, Water Heater Installed In 2017. MLS#6527805. Front Door Realty, Llc.. They Are Representation Of Finishes & Style Only MLS#6524586. Keller Williams Realty Metro Atl. They Are Representation Of Finishes & Style Only MLS#8553198. Keller Williams Realty. Walk To East Lake Golf Course, East Lake Park & Minutes To Hosea + 2nd, Downtown Kirkwood, Decatur Square & More! Brilliant! MLS#6526970. Keller Knapp, Inc..
A Covered Porch (Which Could Be Easily Screened), And A Pavilion Sized 2-Car Carport Provide Space For Large Outdoor Gatherings, Rain Or Shine! Walk To Many Restaurants. MLS#6525122. Keller Williams Realty Intown Atl. There'S A New Deck With Access Off The Master The Looks Into The Huge Back Yard! MLS#6526818. Maximum One Greater Atlanta Realtors. Located In Unincorporated Dekalb County. Convenient To I-20 & Eav. MLS#6524609. Chapman Hall Premier Realtors. They Are Representation Of Finishes And Style Only. MLS#6523678. Keller Williams Realty Metro Atl. This Is A Must See With Instagram-Worthy Touches, Location, & Rental Income! MLS#6521652. Compass. House Has High Ceilings, Hardwood Floors, 3 Working Fireplaces, Master Suite With Walk-In Closets. MLS#6521398. Palmerhouse Properties. Drew Charter School Priority A/B Eligible. MLS#6521314. Keller Wms Re Atl Midtown. As An Added Bonus, This Residential Property Comes With Commercial Zoning For Your Opportunity To Run A Home Based Business And Love The Convenience The Community Has To Offer. MLS#6519206. My Hometown Realty Group.